Looking For A New or Used Peugeot Engine? Seeking Peugeot engines for sale? 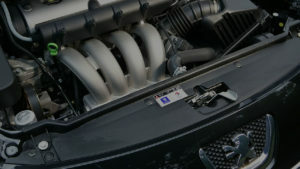 We will assist you in finding an engine quickly! Whenever you give us a call or use our on-line engine request form, your inquiry will get transferred immediately onto a vast network of Peugeot scrap yards, rebuilders, car salvage yards and Peugeot engine importers. Simply select the applicable vehicle manufacturer enter your vehicle details and submit the form. If you like phone us! After that just relax and await the suitable estimates to reach you via email or telephone. Please be aware unfortunately we cannot guarantee any of the suppliers’ engines, action or services. looking for an oil pump on a Peogeot 308, 2011 year model in the Durban area please. looking for a complete second-hand engine on a Peugeot 206 GTI, 2 liter, 2001 year model, in the Verenniging area. Hi looking for Oil Pump for above Van. I am looking for a complete engine for a Peugeot 207, 1.4, 2012 model, 10FG. Hi,I'm looking for a Peugeot 206 gti180 engine,I can't find Pistons for my current engine as Pistons have valve seeths on top and are not flat top like others.please let me know if you can help.thanks. I am looking for a replacement engine for my peugeot 307 Automatic car.The mechanic say it's a RXJ engine. 2 litre. I am looking for a complete engine for a Peugeot 207, 1.4, 2006 model, 10FE. I am looking for an Engine of Peugeot 206,GTI, 2.0, 2006. Looking for new engine for 2002 Peugot 307SW. Need a neat second hand engine. Please i need complete engine thank you. Hi am looking for an engine urgently Peugeot 206 1.3 xlite petrol please get back to me as soon as possible. Good Day- I'm looking for a 2.7 Diesel engine for a peugeot 407 coupe, the same engine is used for Peugeot, Citron, Landrover, Jaguar. Please contact me with prices if you have anything compatible. I need a good second hand running peugeot engine. There’s a lot of justifications you might need to switch your Peugeot’s engine. The car motor might have seized, possibly you have involved in an awful car accident along with the engine is just very aged and needs switching. Locating a pre-owned Peugeot engine very quickly is vital, given that a lot of our routine activities depend critically on vehicles. Which is exactly where we come in to help you in your quest to look for a second-hand Peugeot engine. No matter the make or model, Engine Finder will allow you to contact with scrap yards and engine spares businesses throughout Sa to get whatever you may need. Thinking about use Engine Finder? There exists a big group of salvage yards. We have carried out much of the effort of finding the automotive parts businesses that sell Peugeot motors for sale within Sa. Just one enquiry is all it’s going to take to instantaneously communicate with all of our engine partners. Dialing every organization is lengthy specially when you have a serious event of without having car transportation! This greatly heightens your odds of tracking down an engine. When in search of you own engine you will need to either perform some research or sift through Gumtree advertisements and contact each and every company oneself. With our website, you will discover the engine you require many kilometers away, even if there was no firms local to you. Absolutely no Middleman Costs You inquire direct with our junk yards. The dealer sells you the engine, this implies costs are not hiked up in in any event. The dealer will sometimes phone you or e-mail you immediately. Be given different quotes either by telephone or just e-mail No matter if you’d rather consult someone on the telephone or even get various emails that you can print out and review alongside each other, you will get a few estimates from distributors via telephone or email. By having many price quotes, you are able to make sure you get the best offer in order to get the engine you need and get your car repaired. Ease-of-use Utilizing our services are a no brainer when you in reality comprehend just how affiliated our company is with all the engine dealers within Gauteng. You can ring us or make an online enquiry. Prior to phoning you should definitely have your engine number at hand (upon your vehicle registration papers). Dependant upon supply availability you should be obtaining quotes from several junk yards from across the region. Our company supports all the major major automotive manufacturers, rendering it simple to find the engine you absolutely must have. The saying: “Let Your Fingers Do The Walking” just isn’t valid! Save some time from much less telephone calls and less driving to each salvage yard.